Muscletech Performance series Nitro-Tech Powder contains Whey isolate & peptides as primary source which can help you builds 70% more lean muscle than regular whey. Its Superior whey protein formula amplifies recovery and performance & strength. 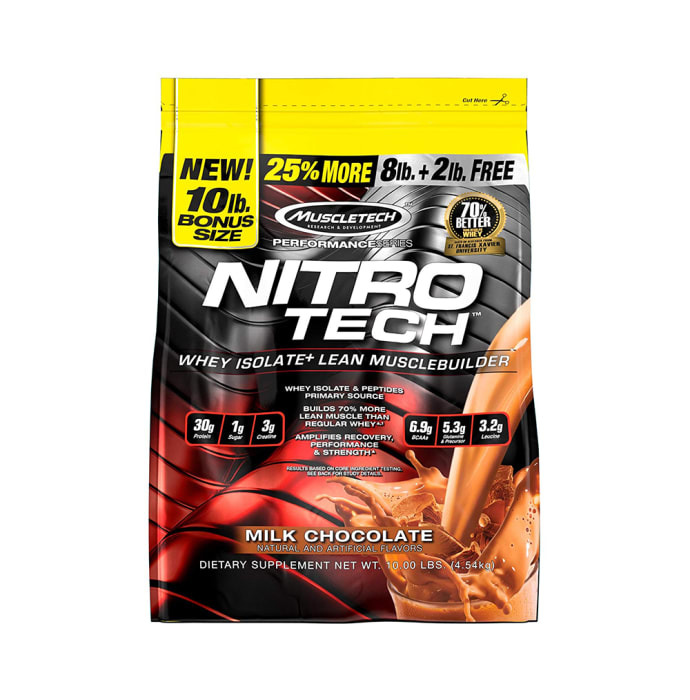 Nitro-Tech with a weight-training program gained 70% more lean muscle than subjects using regular whey protein (8.8 lbs. vs. 5.1 lbs.) and increased their bench press more than subjects using regular whey protein (34 lbs. vs. 14 lbs. ).